The little girl featured in these photographs is June Barnett, her father was Sergeant Ronald Barnett. 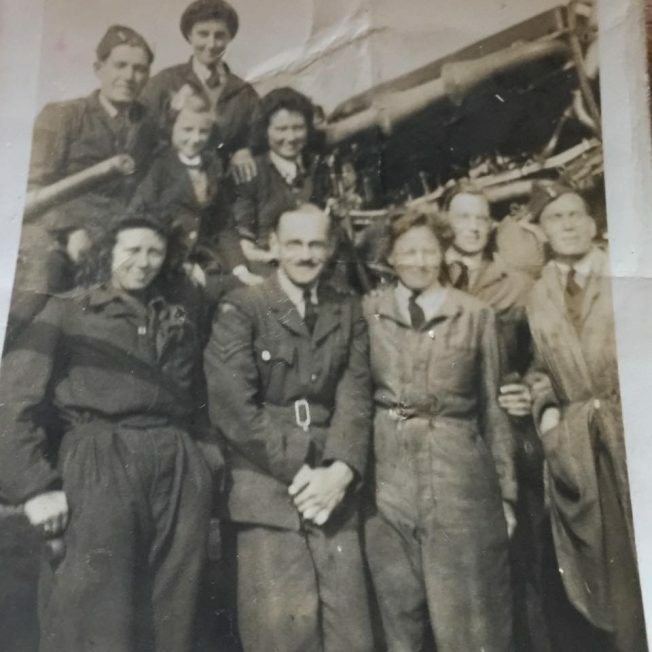 June befriended two ladies at Kenley Airfield named Mickie and Joyce, who worked as groundcrew. 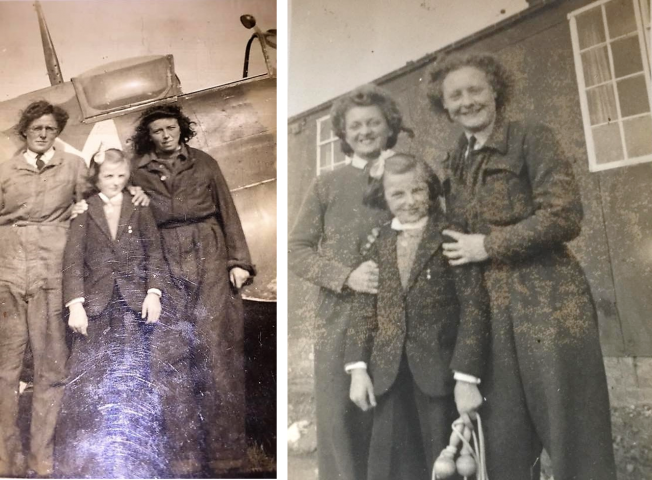 It seems as though June did a lot of exploring at Kenley, and although we don’t know the names of the ladies featured in this photograph (below), June’s daughter tells us that they used to hide June in the Land Rover when the C.O. visited the Airfield! June’s father, Sgt Ronald Barnett, is featured on the far right in this photograph (above). Throughout World War II, he flew the Union Flag from the roof of his house because he thought it helped the pilots find the airfield. Thank you to June Barnett and her daughter, Teresa James, for letting us use these photographs, and sharing your story with us. Thank you to Sgt Ronald Barnett and to Mickie and Joyce for your service. Thank you for sharing your stories and photographs with us! They are priceless.